Ever since Apple Music was announced at WWDC 2015, many of the users from competitive platforms (Spotify, Rdio, etc.) are switching to the new service. If you are one such user, you might already be missing your playlist collection from the previous service. 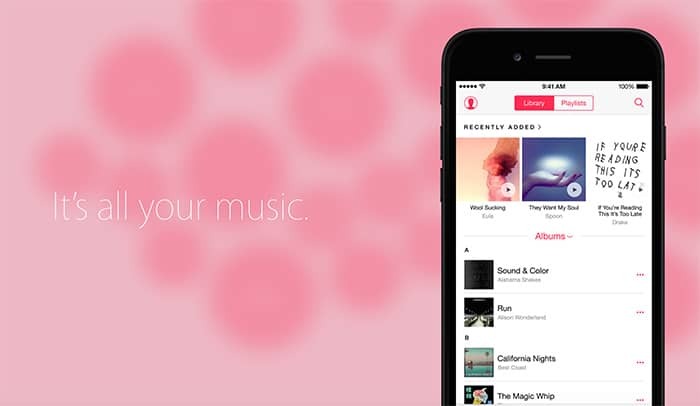 But, a few workarounds will help you to get your old playlists into Apple Music. Spotify and Rdio being the biggest players in the music streaming industry, in this article, we’re considering these two services for moving your existing playlists to Apple Music.In order to transfer playlists from your previous streaming service to Apple Music, first you have to import your existing music collection into your iCloud Music Library. Note: The following actions requires you to have an active Apple ID along with an active Apple Music subscription plan. Additionally, you also need to turn on the iCloud Music Library. That’s where the songs from your playlists get added. To make it easier, some developers have created apps that search for songs from your Spotify playlists on Apple Music and add them to your iCloud Music Library. One such app is called S.t.A.M.P. (Spotify to Apple Music Playlist). Download and install the S.t.A.M.P. app for Windows or Mac. Launch the app. If you’re on Windows, choose Yes in the User Account Control prompt. On Mac, go to System Preferences >> Security & Privacy and allow the app to launch. Once the app launches, iTunes should launch automatically along with S.t.A.M.P. Choose “Import Songs directly from Spotify” option and login to your Spotify account. S.t.A.M.P. will automatically fetch your Spotify playlists. Select the Playlists you want to import and click on Next. Finally, click on Parse button to start the import. Depending on your collection, this step might take a lot of time, and any interruption might cause the operation to abort. So go get some coffee and sit back while your Spotify playlists get imported to iCloud Music Library (Apple Music). If you are an Rdio user who has recently switched to Apple Music, you can import your existing Rdio playlists to iTunes Library and listen to them on Apple Music. For that, you can export the Rdio Playlists as CSV and then import them to Apple music. A Chrome extension known as Rdio Enhancer integrates some useful features to the Rdio web app. One such feature is the Export to CSV option. Follow the steps below to export your existing Rdio playlists in CSV format. Download and install Rdio Enhancer for Google Chrome from the Chrome Web Store. Now launch the Rdio web app and log in to your account and click on any of the playlists you have created. Click the More (…) button below the playlist artwork and choose Extras >> Export to CSV. Save the CSV file locally on your computer. Once you have exported your playlists as CSV, you can use the S.t.A.M.P. app to import your songs to Apple Music. Choose “Import Songs from .CSV file” option and select the CSV file you have exported earlier. Finally, click on Parse button and wait for the operation to complete. Note: The above method may be used to import music from any streaming service that supports exporting playlists as CSV. Once the parsing operation is completed, your Spotify or Rdio collection (those available on Apple Music) will be added to your iCloud Music Library. Now, you need to manually create the playlists in iTunes. Go to My Music tab in iTunes and switch to the Songs view from the top right corner. Arrange the song list according to date added with the latest addition first. If you do not see the Date Added column, just right click (Control-click) on the column header and select Date Added from the menu. The songs on the list will now be displayed in the order they were imported from Spotify or Rdio (Playlist-wise). So you can select a set of songs and drag them to create a new playlist. Continue this process until all the imported songs have been put into their respective playlists. The S.t.A.M.P. app allows importing up to 10 songs per session in the free version. If you want unlimited imports, you can upgrade to S.t.A.M.P. Premium for €5.00. If you are not satisfied with S.t.A.M.P, there are a few other alternatives available for converting Spotify playlists to Apple Music. Applefy is a GitHub project that was initially meant for developers alone, but later has been modified into a Mac App for general users. You can get more information about the app from the official GitHub page. Spotify2AM is another similar project on GitHub that uses Python 3 scripts to help you import an existing Spotify library into Apple Music. Do note that these aren’t finished products, so you might experience random errors and glitches while using these apps. For Rdio users, we couldn’t find any alternative feasible solutions for importing playlists to Apple Music. If you know of good solutions for importing playlists from other streaming services to Apple Music, do let us know in the comments below.